What is the purpose of the Cable Mats? The Cable Mat is the perfect product for protecting your cable and offering a safe place to walk at any indoor location. This cable matting is great for floor displays that require electricity, but an outlet is not right next to the display. This way, you can still set up your display without the worry of anyone tripping and falling, or damaging the wiring. Where can the Cable Mat be used? 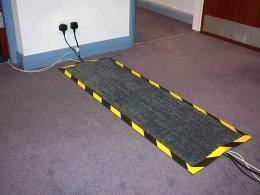 This rubber mat can be used at any indoor location where wires need to cross an area that is frequented by pedestrians. These can be a great asset in an office location, especially when you have many cubicles set up that require electricity and a limited amount of outlets. Who might use the Cable Mat? Anyone who works at an indoor location that requires the use of electricity can benefit from the use of this cable protection. They protect the wires while giving you the flexibility of setting up many office spaces for use. Another great use for these mats is at school and college sporting events, where wiring is a necessity and often times an outlet is not easily accessible. 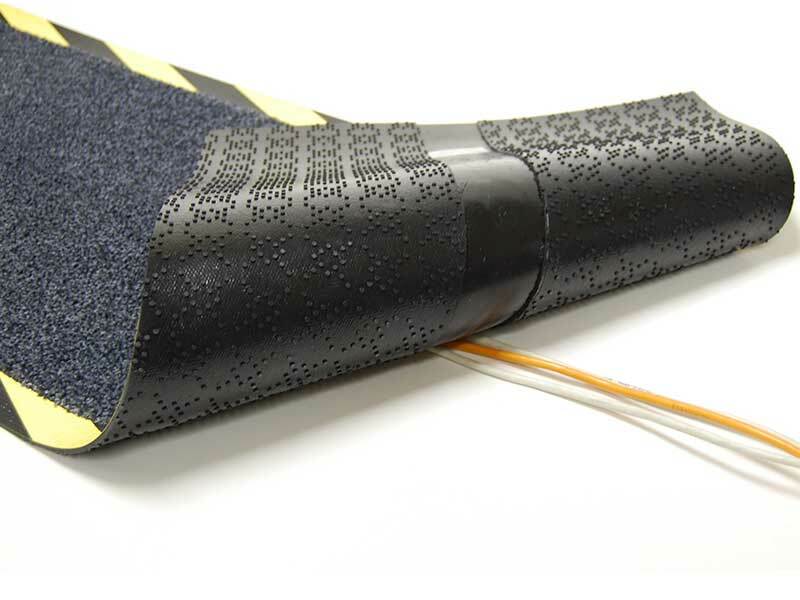 This method of cable protection features a hard wearing nylon mat with a 40mm area underneath for running the cable. A black and yellow border around the outside alerts all who cross it that it is more than just a standard rug. 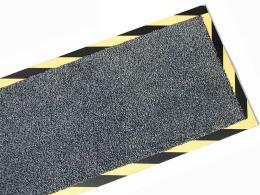 A non-slip, rubber back ensures the mat will not move around when walked across, increasing the chances of tripping or falling and reducing the risk of an accident. As with any indoor rug, the rubber mat can become dirty with time and wear. It is able to be steam cleaned to always keep it looking its best. The cable mat comes with a one-year parts and labour warranty and is available for free, next day shipping to anywhere in the mainland UK. 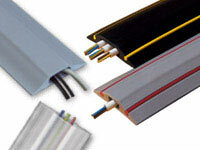 To optimise your cable management, see our full cable protector range on our website. Our variety of cable protectors includes indoor and outdoor cable protectors, such as cable tidies, wire covers, cable mats, and cable trunking.